Before the break we had our presentation for our conceptual direction. We finally decided on our problem space which is Micro-plastics pollution and its impact on environmental and human health. The presentation built on what we had worked on in IdeaSquare, and the solution that we presented was a two-prong solution aiming to collect plastic waste at point of consumption and clean up existing plastics in waterways. 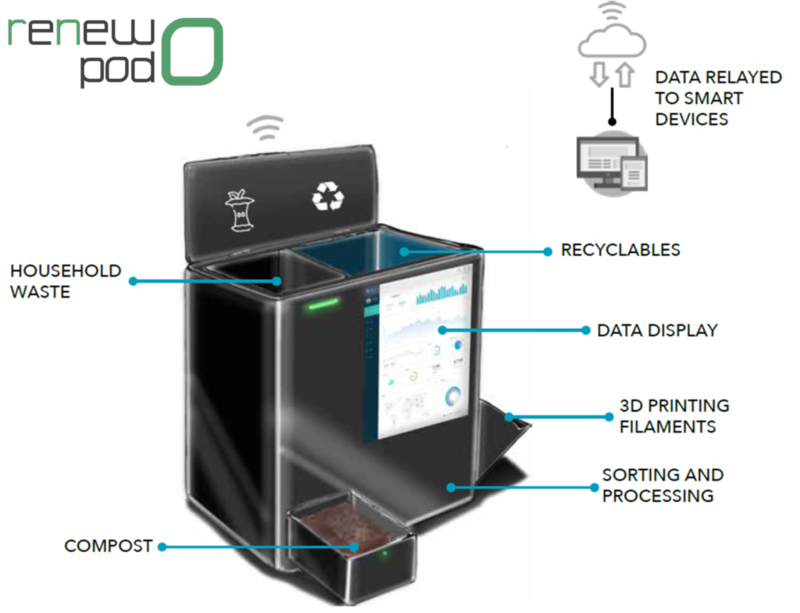 The ReNewPod is a smart sorting bin that collects plastic waste and processes it using plastic-eating enzymes and fungi to prevent plastic pollution. 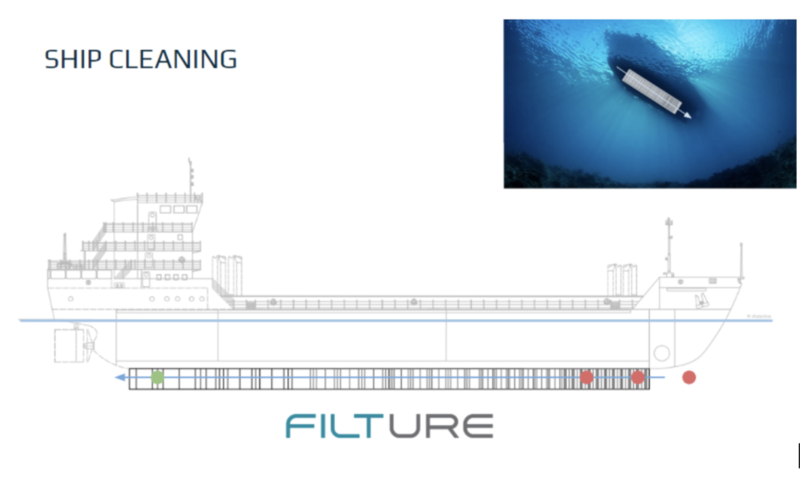 Filture is a smart filtering system that cleans up existing waste in waterways and processes it to remove it from the greater environment. We were grateful for the feedback received from the DFM family that attended, as this led to helpful discussion and potential avenues to explore further. These include 3D printing, drag and fuel efficiency of ships, composition and properties of microplastics, and further information on plastic degradation by enzymes and fungi. Other food for thought included harnessing passive wind or tidal energy, thinking about sustainable convenience (or convenient sustainability), and plastic’s place in the petrocarbon chain. After a (refreshing) break, we returned to class and immediately set our sights on Futures and Forecasting. We were challenged to think of what a Utopia and Dystopia scenario would be for our topic, and were introduced to Pablo of IdeaSquare’s concept of multiverse thinking. It’s cool to work on a framework conceived by someone you have actually met in person! 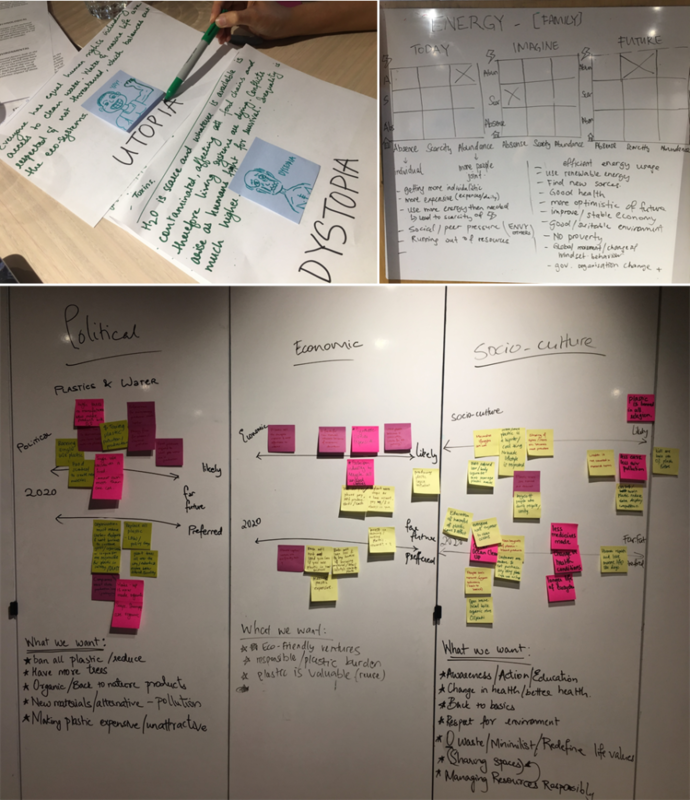 We were also challenged to view our problem area through the PESTLE (Political, Economic, Socio-cultural, Technological, Legal and Environmental) lens. These different tools enabled us to cast our mind to what we saw as likely and preferred futures, helping us to focus in on a shared vision for the future as a team. After the presentation and feedback, we became aware of the gaps that we need to fill in our knowledge. 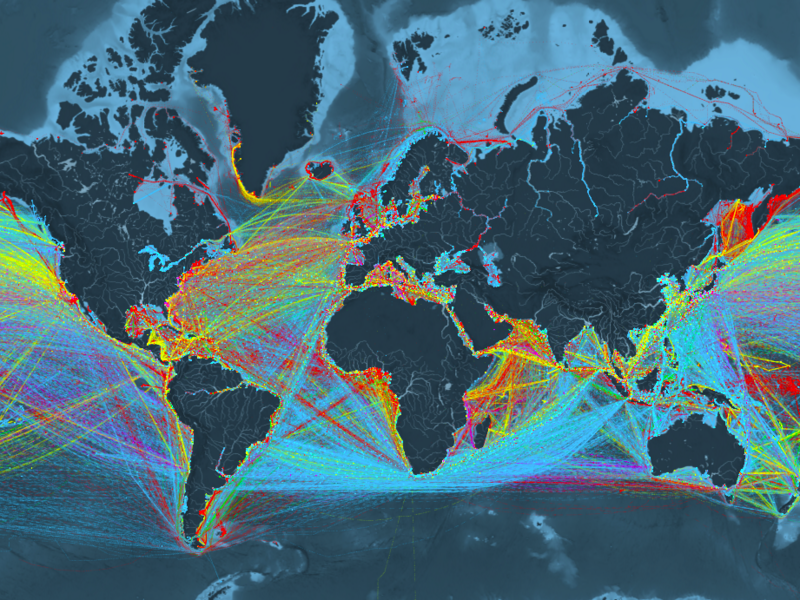 One such gap is the nature and location of microplastics in the ocean, which do not necessarily remain at the ocean surface but have also been found in remote deep-sea trenches. So far, what has arisen as two important concepts for our preferred future are Respect for the Environment and Responsible Resource Management. After the futures and forecasting exercises in class, we realised that we need to find a clearer vision of our preferred future to give us a focal point for our concept. To do this, speaking to subject matter experts and reading up industry reports and forecasts will be beneficial. Continued researching the points raised during our presentation (listed above). Interview plastic expert in Swinburne. Map out the stakeholders to generate a list of people to contact. 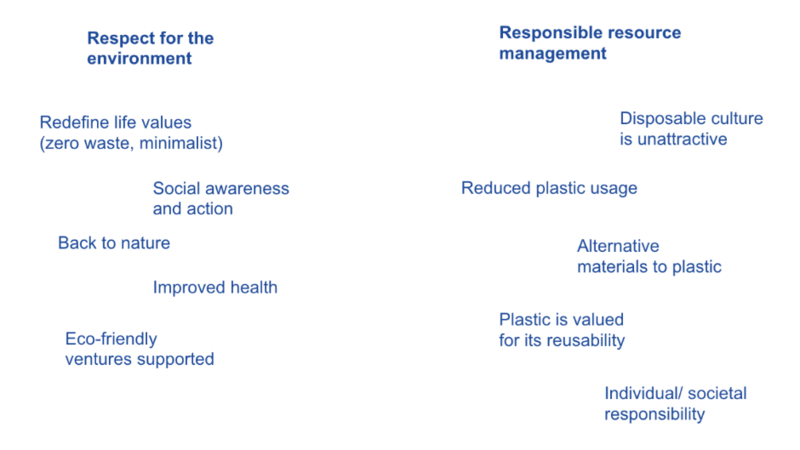 Making a clearer vision of our preferred future, supplemented with research on future trends in plastics, and development plans for Melbourne.